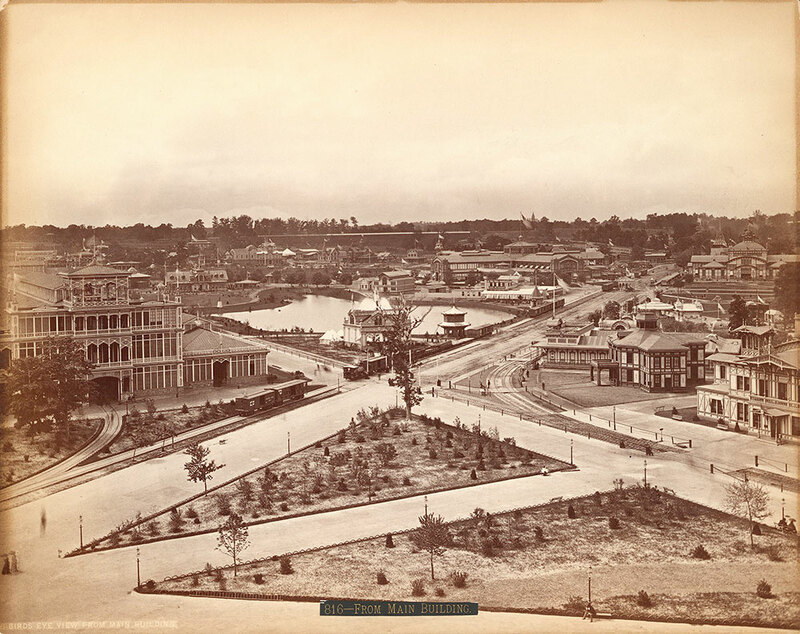 Notes: Overview of exhibition grounds, with railroad and buildings visible. Flags top most buildings. Notes: Titles on labels: From Main Building, and: Birds eye view from Main Building.